Notes: Heath Town was located on the eight-mile Wolverhampton & Walsall Railway (W&W) which was authorised on 29 June 1865. The line took seven years to build opening on 1 November 1872. It was intended that, from the opening of the line, it would be worked by the London & North Western Railway (LNWR) and the Midland Railway (MR). Heath Town station served the area after which it was named on the eastern side of Wolverhampton. The station was on an embankment to the east of Grove Street. The W&W was a double-track railway, and Heath Town had two platforms. Access to the station was via sloping paths that connected the Walsall-bound platform to Grove Street and to Deans Road (east of the station). A small single-storey rendered brick building located on the Walsall direction platform served as a booking office, and a waiting shelter was provided on the Wolverhampton platform. A barrow crossing linked the two platforms. To the west of the station was Heath Town Junction where a line diverged from the W&W and curved eastwards to form a connection with the former Grand Junction Railway which had become part of the LNWR. 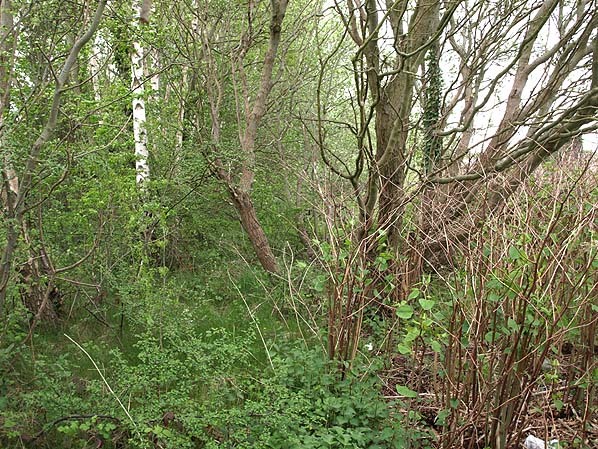 There was also a line that connected to the Great Western Railway (GWR) Wolverhampton Low Level station which lay to the west of Heath Town Junction. At the time of opening Heath Town would have been served by trains running between Wolverhampton High Level station and Walsall, both of which were in LNWR ownership. In 1875 the LNWR bought the W&W but a year later sold it to the MR. The MR was interested in the W&W because it had taken over the Wolverhampton, Walsall & Midland Junction Railway (WW&MJR) in 1874. The WW&MJR had, with MR support, been authorised on 6 August 1872 to build a line from Castle Bromwich (on the MR main line between Birmingham and Derby) to Walsall that also made an end-on connection with the W&W line. The Castle Bromwich line opened on 1 July 1879 giving the MR direct access to Wolverhampton. From this date Heath Town was served by trains running between Birmingham New Street and Wolverhampton High Level via Walsall (where reversal was necessary). The December 1895 timetable showed Heath Town as having ten up and ten down services on Monday-to-Friday. There was an extra up service on Saturdays and three services in each direction on Sundays. From 1 January 1909 the MR trains were diverted to run between Wolverhampton and Walsall via the LNWR route which meant that they did not call at Heath Town. The reason for the change was to avoid a reversal at Walsall. To compensate some LNWR trains ran along the MR line via Heath Town; by doing so they could also avoid a reversal at Walsall. As Heath Town was close to Wolverhampton town centre it could not compete with local trams. With most of the train services diverted onto the LNWR line it had few trains in any case. The MR closed the station on 1 April 1910, and the platforms were demolished shortly after. The station building survived for a few decades after closure. Passenger trains over the MR route to Walsall ceased altogether on 5 January 1931, and the line closed as a through route on 28 September 1964. 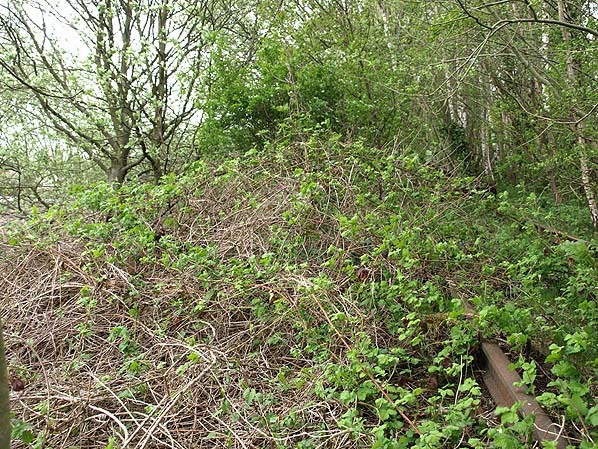 The section of line through the Heath Town station site, from Heath Town Junction to Willenhall, remained in use until 4 October 1965 when it was closed completely. In 1970 it reopened to serve a large works built by the Weldless Steel Tube Company at Wednesfield. The last trains ran to the works in 1983 after which the line was lifted. In May 2013 there was little to show that Heath Town station had ever existed other than the sloping paths that connected the platform to street level. Willenhall Stafford Street and Wednesfield. 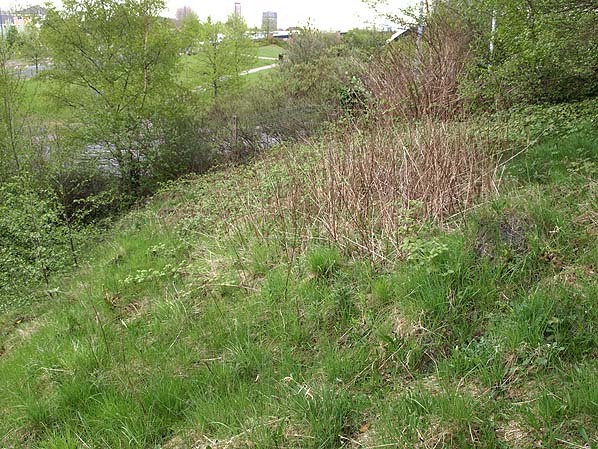 Looking north-east at the site of the Walsall direction platform at Heath Town station on 9 May 2013. Heath Town station shown on a 1901 map. Heath Town station shown on a Railway Clearing House map. north-east on 9 May 2013. The Heath Town station Deans Road access path seen looking north-east towards Deans Road on 9 May 2013. The path provided direct access to the Walsall direction platform.